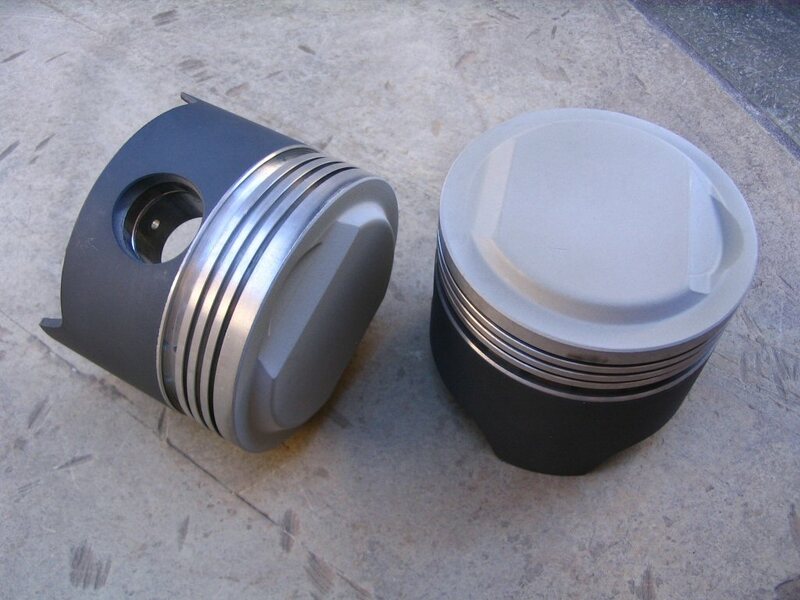 Pistons arrived back from Swain Tech Coatings today. 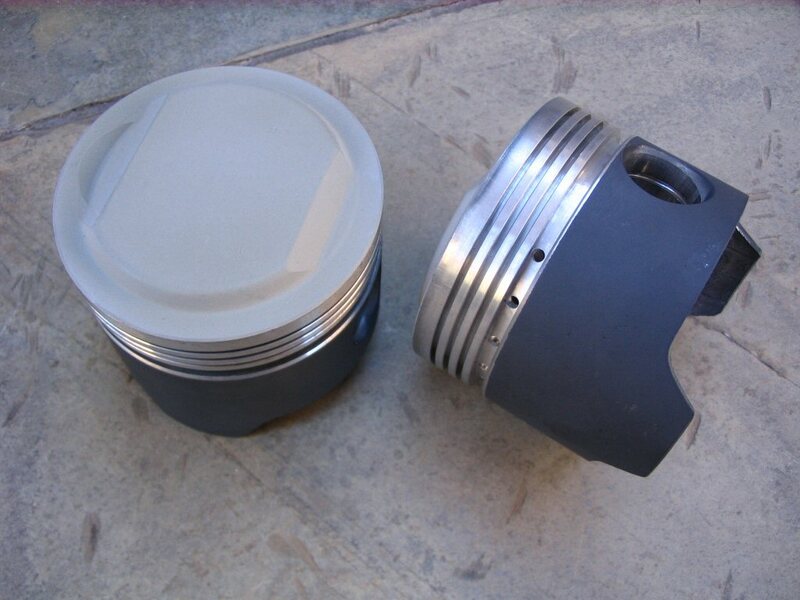 Quick turn around and the pistons look good. Swain Tech coated pistons, TBC on Dome and PC-9 on Skirt.